Women’s entrepreneurship can be a boon for sustainable utilisation of resources, food security and employment generation. Women entrepreneurship can be defined as the process, in which she thinks to set up a business, gathering all the resources necessary to manage a business venture, provide employment to others and to make a profit along the way while minimising risk while initiating, organising and running a business enterprise. The SEAFDEC-Sweden project is seeking a Gender and Social Development Specialist with a knowledge and passion for gender equality, human rights and social development. As a Gender and Social Development Specialist, you shall have deeper understanding of gender, human rights and social development aspects helping SEAFDEC-Sweden project, its implementing partners and project staff on how to promote gender equality, human rights and social development through internal practice and gender analysis. 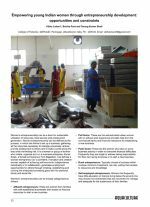 Trade in fisheries products is an important source of livelihoods for economically underprivileged people in Chhattisgarh. 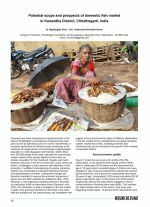 A socio-economic profile of traders and other actors from a domestic fish market is presented, including age, gender, education and income levels. The market infrastructure, distribution channels and species traded are described. Constraints to marketing arrangements are identified and include a lack of cold chain, storage and transport facilities. Community fishing is a unique feature in the state of Assam, India. 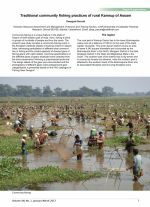 The present case study narrates a community fishing event in the floodplain wetlands (beels) of Kamrup District in Assam, India, witnessing participation of different tribal communities in fishing and the modus operandi of diverse types of fishing gears with catch details. The design details of the gear were documented. 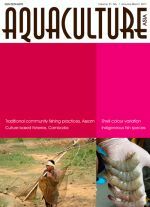 The communal fishing practices of local communities are described along with the respective roles of men and women. 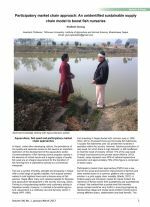 In Nepal, low quality and seasonal access to fish seed is an important restriction on the development of the aquaculture sector. 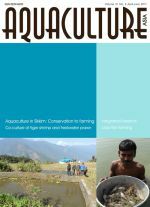 Commercialisation of fish farming cannot progress rapidly in the absence of critical inputs and a regular supply of quality fish seed is an integral requirement for the transition of fish farming from a subsistence activity to a commercial enterprise. 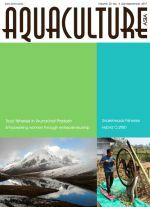 Participatory market chain approaches are a key tool for the social and economic improvement of farmers and market participants.